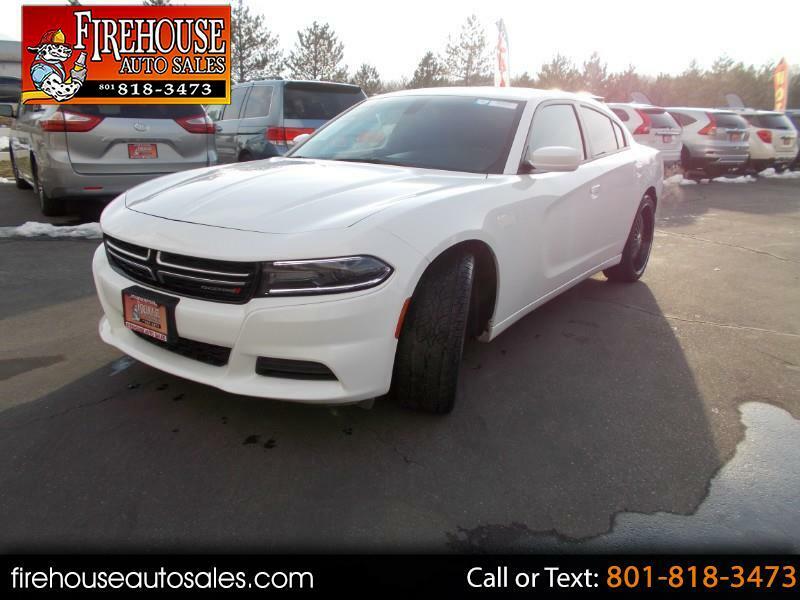 2015 Dodge Charger SE White With Black Cloth Interior!! 3.6L V-6 With an Automatic Transmission. 2-Owner Clean Title And Carfax!!! 22 Alloy Wheels With Nearly New RUBBER!! Windows Tinted, RWD, V6 3.6 Liter,Auto 8-Spd w/AutoStk, ABS (4-Wheel), Air Conditioning, AM/FM Stereo, Cruise Control, Daytime Running Lights, Air Bags: Dual Front, Air Bags: F&R Head, Hill Start Assist, Keyless Ignition, Power Door Locks, Seat: Power Driver, Power Steering, Power Windows, Air Bags (Side): Front, Stability Control, Tilt Wheel, Traction Control, Wheels: Aluminum/Alloy, Bluetooth Wireless, Auto Climate Control, Mirrors: Power, Steering Wheel Controls: Audio, Steering Wheel Controls: Other, Tire Pressure Monitoring System, Keyless Entry USB Connection, Auxiliary Audio Input. www.firehouseautosales.com Please Check Out Our GOOGLE Reviews!!! !